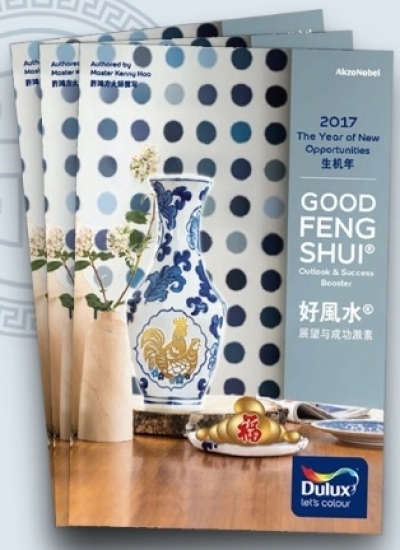 FENG SHUI is the unique philosopical system of harmony between people, time, the environment and space. The practice involves understanding and managing one’s lifepath, and orientating buildings, dwellings and even ancestral tombs, to tap into auspicious forces or qi. 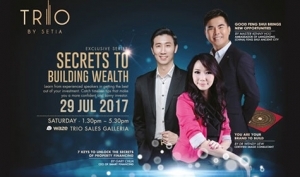 Its main purpose is to help people be able to live with great joy, good health, wealth and prosperity. Feng shui is cyclical and in Flying Star feng shui, each cycle lasts 20 years. This essentially means that your feng shui “luck” lasts 20 years before a new cycle begins. We are now in what’s called Period 8, which began in 2004 and will last until 2023. “Even in feng shui, qi grows weaker towards the end of the cycle. 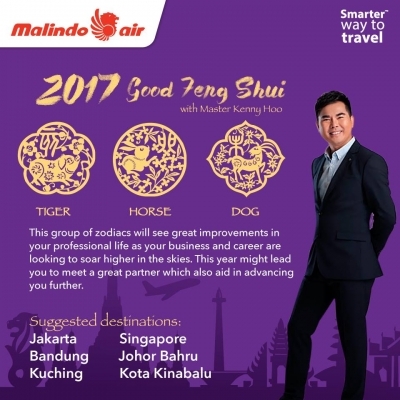 With seven years more to go before the next cycle ( or Period 9, which lasts from 2024 to 2043), it is timely to make preparations so as to continue boosting one’s accumulated luck,” says renowned feng shui consultant Kenny Hoo. “If we are well prepared, we can enjoy the benefits of the present cycle, as well as the next one,” he says. 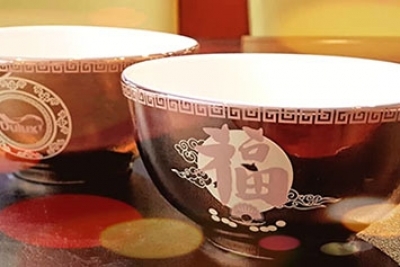 Most people practise feng shui of residence, property and business but this yanghouse feng shui ( yang zhai in Mandarin) is said to only carry 30% of the power to boost one’s overall luck. In some cases, yang- house feng shui effects last for a shorter term, or may even be less effective. An individual or family may not be doing well in terms of health, wealth and relationship, but it’s not all gloom and doom. Luck can be enhanced, Hoo reassures, if you know how. According to him, success in business or life depends on three major factors - what is known as born- luck ( influenced by one’s birth code); effort or knowledge; and afterborn- luck ( based on one’s lifepath). Hoo says effort only contribute 30% towards one’s success, born- luck contributes to 40% and, afterborn luck, another 30% towards one’s success. There are three levels of luck enhancement. The first level is to enhance wealth ( wang- cai) which is money or business luck. The next level is to enhance the number of descendants ( wang- ding). The highest level is to enhance nobility qi ( wang- gui) so that all family members are financially well off and respected in society. It is most difficult to enhance nobility qi through yang- house feng shui. “The most effective way is through the implementation of yin- house feng shui ( ancestral graveyard feng shui) which can last for generations,” Hoo emphasises. 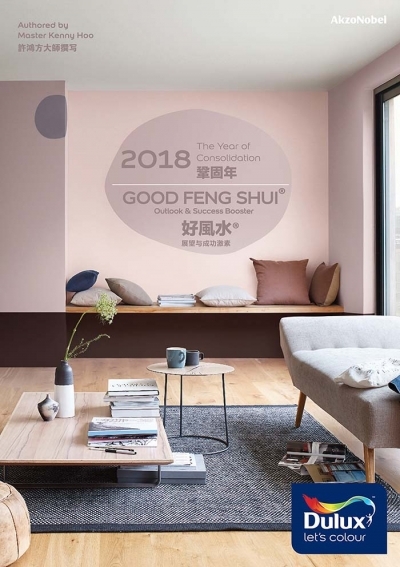 The correct implementation of yin- house feng shui, he says, can also enhance the DNA of future descendants, resulting in smarter and healthier babies with better luck and lifepaths! 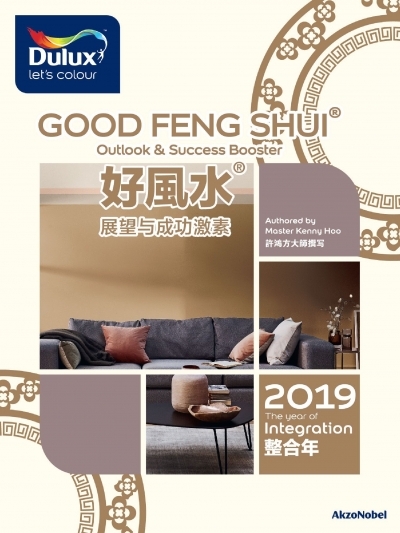 Hoo is of the belief, however, that not all feng shui masters are able to practise yinhouse feng shui as it requires a high degree of skill and involves many rituals. Orientation of direction and design of tombstones is not nearly enough. A good feng shui master needs also to know the water outlet of the tomb, which is the “best kept secret” to tap auspicious qi in order to help a family achieve greater nobility qi. Hoo cites a feng shui principle by the scholar and historian of the Eastern Jin period, Guo- Pu: “The accumulation of wind is secondary; most important is the feasibility of the land in capturing water.” Hence, if a burial plot has no river nearby, a pond of active running water can be created to accu- mulate positive qi. Simple measures like that can cause a great change. The Chinese, he says, believe that tombs should be on hilly terrain for good feng shui. Flat land would not be ideal as there is a lesser flow of qi. The burial plot with good feng shui must have multiple layers of mountains behind it. Nirvana Memorial Park and its “newer phase” Nirvana Memorial Garden, both in Semenyih, Selangor, have such a configuration. “The left side of the plot ( Green Dragon side) should have multiple layers of mountains or hills and should be closer to the piece of land to benefit the men in the family and generate more noble people or helping hands in the family,” he says. The right hand side ( White Tiger side) should also have multiple layers of lower mountains or hills but should be a bit further from the plot. This hilly range should also be long to enhance the luck of women in the family, as well as wealth. The land must face or sit in an auspicious direction and should also have multiple layers of mountains in the front of it as well to lock the auspicious qi. Water features ( pond, river, sea or lower land) around the plot will add positive values. For example, on the left side of Nirvana Memorial Garden, there is the Semenyih Reservoir and a river flowing from left to right, which generates a lot of good qi continuously over a long period. According to Hoo, a place such as this has so much good qi it can even last until the year 2043. He adds that the mountains which the tomb faces from the front should not be “sharp” as this will affect health of the descendants and give rise to challenges in career, health and relationships. “Smoother” ( Or “gentler” slopes) are preferred, with each layer benefitting a generation of the family. Good feng shui for descendants is more viable if remains are buried, and not cremated with ashes kept in urns or scattered at sea. Tombs should not be cemented. Hoo says this does not allow the natural qi to come into contact with the land; and therefore it is unable to resonate with the ancestral remains and bring positive benefits to the descendants. Do not put stones on top of graves as this can cause descendants to have pressures in life and career. Grass may be planted on the tombs, but not colourful flowering plants or fruit trees which have roots that may wrap around the coffin or the remains. The burial plot should not have a lot of stones underground or the descendants will eventually have a hard livelihood. To overide bad grave feng shui, remains of ancestors may be reburied in a new tomb with good feng shui. The old tomb should then be demolished. Hoo says bigger burial plots are more favourable to capture better qi. Some families gather their ancestral remains and rebury them in a new family lot. One reason for this is because it is just more convenient during Qingming. Some families who enjoy prosperity do not want their ancestral graves to be modified by other family members who are not doing so well. They worry that the tampering with graves may bring about negative effects to their good lives. Hoo explains that even for some graves, auspicious qi can be unbalanced, favouring certain members of the family over others. To overcome this dilemna, some people will erect a sheng ji ( live tomb). A live tomb is the most effective way to capture good qi for themselves and their own descendants and offset possible negative influences from ancestral graves. In a live tomb, an individual will bury his or her hair, nails and used clothings and other auspicious items. However, these individuals need to get a good feng shui master to select just the right plot of land, design the tomb and adjust the headstone to a direction which is most suitable for them. The most ef­fec­tive way to en­hance no­bil­ity qi is through the im­ple­men­ta­tion of yin- house feng shui ( an­ces­tral grave­yard feng shui) which can last for gen­er­a­tions,” says Kenny Hoo, feng shui con­sul­tant.